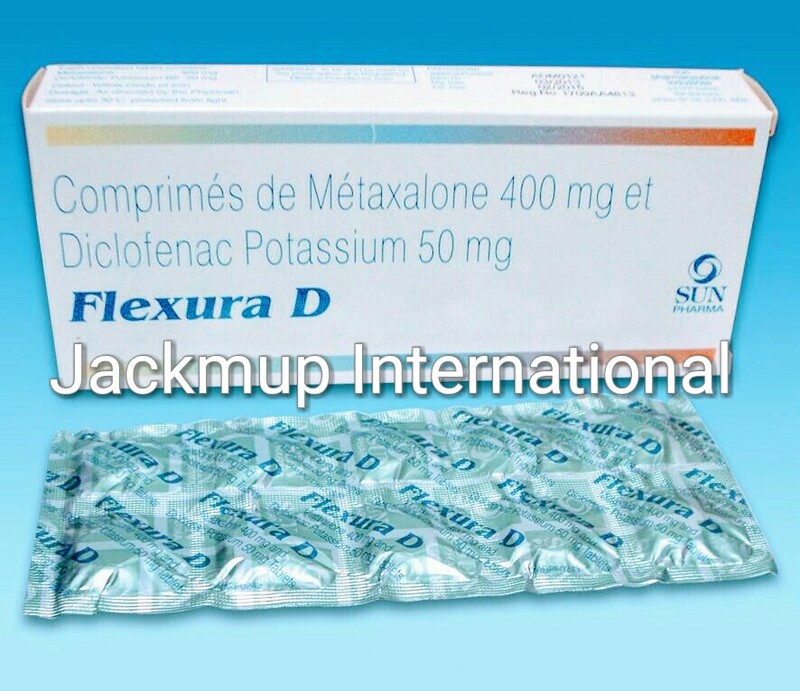 Description:- Flexura 400 mg tablet is used for muscle relaxation.It works by acting on the centers in the brain and spinal cord to relieve the muscle stiffness or spasm. If you are allergic (hypersensitive) to metaxalone or to any of the other ingredients of this medicines. If you have severe liver or kidney problems. Inform your doctor immediately if you experience severe skin rash, difficulty breathing, yellowing of the skin or eyes, unusual bruising or bleeding, unusual tiredness or weakness, seizures. Avoid use of alcohol while taking metaxalone as it increase the risk of drowsiness. It is not recommended in children under the age of 12 years. Metaxalone if taken with food may increase the risk of drowsiness or dizziness; elderly patients are more prone. Do not drive or use any tools or machines, as it may impair mental/ physical abilities to perform the task, and you feel dizzy and tired after taking metaxalone. Side Effects:- Nervousness, Altered libido, Bruise, Bleeding, Bowel disturbance, Dizziness, Drowsiness, Shortness of breath, Gastrointestinal discomfort, Vomiting, Nausea, Headache, Stomach upset, Sun Pharmaburn, Photosensitivity, Yellow discoloration of skin.